Want a how-to for creating a small-city economic development marketing strategy? Imagine you are a marketer in one of the lesser known small U.S. cities that might need an economic development marketing strategy. Millennials are on the hunt for jobs and an interesting cultural scene (joined by baby boomers on the hunt for an affordable city) and have flocked in great numbers to cities like Austin, Nashville, and Denver all of which have a strong employment hub and arts and culture scene. In fact, as 2017 closes, this trend shows no signs of abating, and the rental and residential housing markets there have tightened. The good news is Austin and Nashville, and of course Denver, aren’t the only places where the population is growing! Emerging, small-city markets are attracting millennials and boomers and employers to places like Sioux Falls, South Dakota and Bismark, North Dakota. In fact, small, regional cities are often cited as up and coming engines for economic growth, not just in the United States, but world-wide, in places like China. So where we are going with this? We maintain lesser known regional cities can quickly create an interested audiences of millennials and baby boomers and others in between, in order to attract the momentum necessary to drive sales and rentals of both commercial and residential real estate. Furthermore, we maintain the cool, urban hipsters you want in your city so it has cache and a vibe, can also be snagged into becoming an interested audience. By using digital marketing (both paid and free), as well as other strategies to growth hack and raise awareness, cities can move the dial on real estate occupancy and momentum in a tangible way. Do it by Growth Hacking. In this post, we’ll answer the question: “How do you market a small city?” by demonstrating exactly what a city must have, and if it is a fit for the interested millennials and boomers. 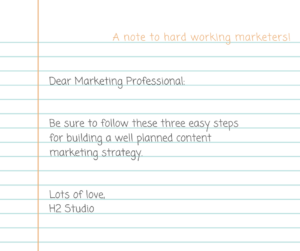 Then we will describe how we did it, with step by step details as well as a list of everything in our marketing stack. 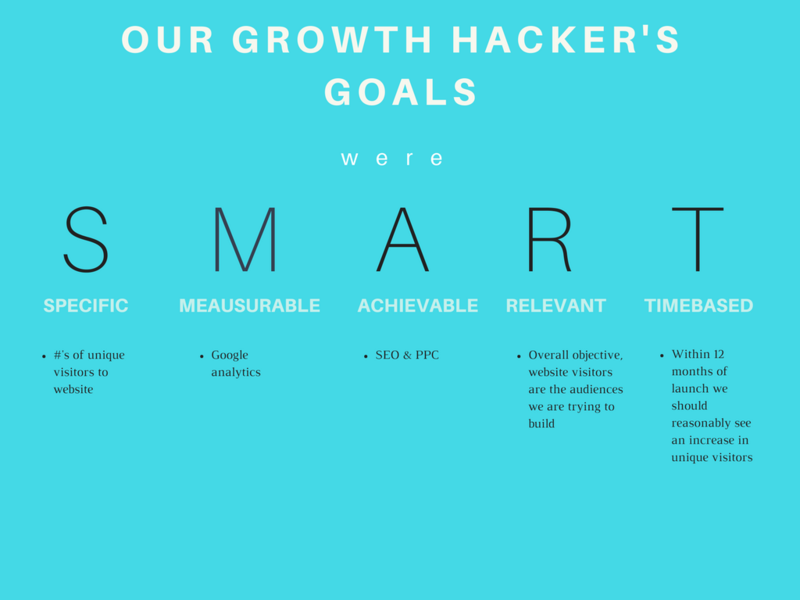 So, let’s talk about what Growth Hacking is and how its principles apply not only to a Newburgh, N.Y., but to any city looking to attract an audience of new, so to speak, users. 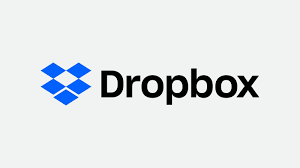 The first use of the term is credited to Sean Ellis, legendary Silicon Valley entrepreneur, who helped scale startups like Dropbox and Eventbrite. These early stage startups were often launched via Y-Combinator the world-renowned Silicon Valley Incubator that coaches startups (such as AirBnB) so they are fully prepared to present to wealthy investors. Ellis, the fastest growth hacker in the west, became the go to champ called upon to help market these startups. He developed a rapid growth approach which favored unorthodox ways (including aggressive social media strategies) to build audiences. “Growth hackers don’t have time to waste around a white board strategizing marketing plans…it becomes critical to test a lot of ideas and to do so to a paying audience.” From Ellis’ blog: Startup-marketing. Though it’s been a few years since Ellis gained a reputation for his aggressive approach, his notions have gained credibility as our 24/7 online lives have adapted to marketing in the digital landscape. THE TWO CRITICAL RULES OF GROWTH HACKING? a. you must have what is known as a Minimally Viable Product (MVP). b. that MVP must fill a niche in the market. 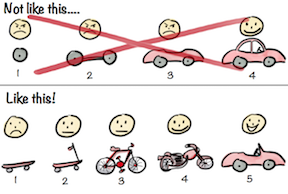 SO, WHAT IS A MINIMALLY VIABLE PRODUCT? a. It has enough value that people are willing to use it or buy it initially. b. It demonstrates enough future benefit to retain early adopters. c. It provides a feedback loop to guide future development. We think many small cities qualify as minimally viable products (MVP). What if city Economic Development Marketers used the criteria of a MVP as the lens through which they viewed and marketed their city? Are there key features of many (often) centuries-old cities that would inspire people to become both residents and workers there, despite some economic challenges or perhaps the challenge of under population? Are the features and benefits such that people would be willing to get a toe-hold because prices are low, while potential benefits are high? Is there a social scene with an online counterpart chronicling on Instagram and Twitter and Facebook, the growth of coffee shops, shared work spaces, neighborhoods, city governance? FEATURES OF NEW URBANISM ALIGN WITH MVP SMALL CITIES. It occurred to us as we put 2 + 2 together that the features and benefits New Urbanism describes also describes dovetail with being defined an MVP, and these features are found in hundreds of cities all across the U.S. The potential for each of these cities to growth hack themselves as MVP’s is huge. New Urbanism is a movement that reassessed urban development. It recognized the inherent value of older cities, appreciating the intentional and beautifully designed public parks of landscape architects like Frederick Law Olmsted and Calvert Vaux, as well as access to riverfront waterways and beautifully designed civic spaces. It also appreciated residential buildings in neighborhoods that developed organically over time, retaining the human element of community naturally occurring in the simple gathering of neighbors on an apartment building’s front stoop. New Urbanism set about recreating those features in new developments, as well as emphasizing these features when re-purposing buildings. It is not without its critics, but it is also credited with raising awareness about the pitfalls of a modern urban landscape over-reliant on automobile-centered design. SO, DESCRIBE SOME KEY FEATURES OF NEW URBANISM THAT CREATE AN MVP. Most shops, diversions, and services are located close to residential areas. Tree-lined porches on buildings which are near to the street, on-street parking as well as hidden (back alley) parking. There is a hierarchy of streets, boulevards, and alleys. High quality pedestrian network and public spaces makes walking pleasurable. Interconnected streets are on a grid network. Areas are zoned for mixed use with shops, businesses, apartments, and within neighborhoods. 4. Mixed-housing Architectural styles Are Diverse. There are clusters of different types and sizes of residential and commercial residential architecture all in close proximity. The diverse styles are distinct but work in a complimentary fashion. Architecture has the aesthetics of beauty, comfort, and ease of use creating sense of place. Civic spaces and sites are also available within the community, such as Colleges, Community Centers, etc. HOW MANY U.S. CITIES QUALIFY AS A MVP? We are excited about the opportunity because we believe that many states have a significant stock of older, either economically challenged cities or underpopulated cities with many all the aforementioned features. In fact, if they meet the criteria to be a MVP, these cities simply need the one essential ingredient: an audience. 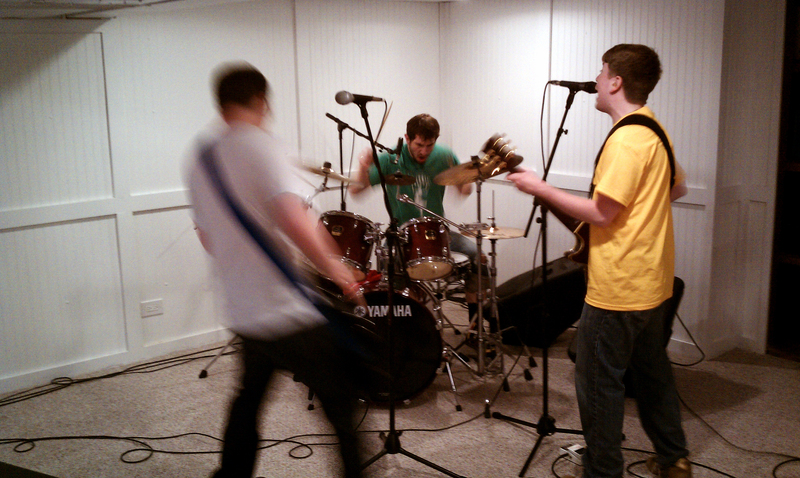 Is your small city MVP just a wannabe garage band practicing in your mama’s basement? Prove it isn’t by finding your audience! Yes, of course! An audience. This is the ingredient upon which great ideas live or die. If you can’t attract and build an audience, then you are just a garage band practicing in your mama’s basement. Get out, use digital media AND live presentation workshops and seminars to get visible, find every way possible to introduce, test for fit, and build your MVP. Rehearse it, refine it, re-imagine it. Understand it will go through as many stages as necessary as the audience you build embraces and how reacts to it. But get it in front of as many people as soon as you can. That is the essence of growth hacking: finding an audience and scaling from there. At least five customers exhibited a similar customer acquisition and onboarding process whereby they bought and went live with the product in a timeframe that was consistent with each other (e.g. had a two month sales cycle and took a week to get the product running). She is a beautiful (although economically challenged) city about 60 miles north of Manhattan. She’s ensconced above the Hudson River with beautiful river views, and boasts one of the state of New York’s largest Historic Districts. There are landmarks such as Washington’s Headquarters and a park designed by Calvert Vaux in honor of Andrew Jackson Downing as well as St. George’s Cemetery, also thought to have been designed by Downing. Newburgh’s historic district is completely walkable, with beautiful, federal style buildings, Gothic Revival-styled Villas as imagined by famed landscape architect Andrew Jackson Downing (he is a native son), as well as 19th century Italianate row houses and some very grand mansions on, where else, Grand Street. All throughout the historic district there is a ton of mixed-use commercial real estate, optimal for Live/Work, another emphasized feature in New Urbanism. Enhancing all of this, the City took proactive measures to embrace New Urbanism-inspired zoning laws. In July 2015, Newburgh put the finishing touches on rezoning laws which were Form-Based, making Live/Work attractive for artists; cottage and craft-industry makers; and business owners considering Newburgh for affordable commercial real estate, as well as a place to live. Food trucks owned by both urbanists and the dominant Latino and black community are common place and lend a hip vibe along Broadway, the main thoroughfare. 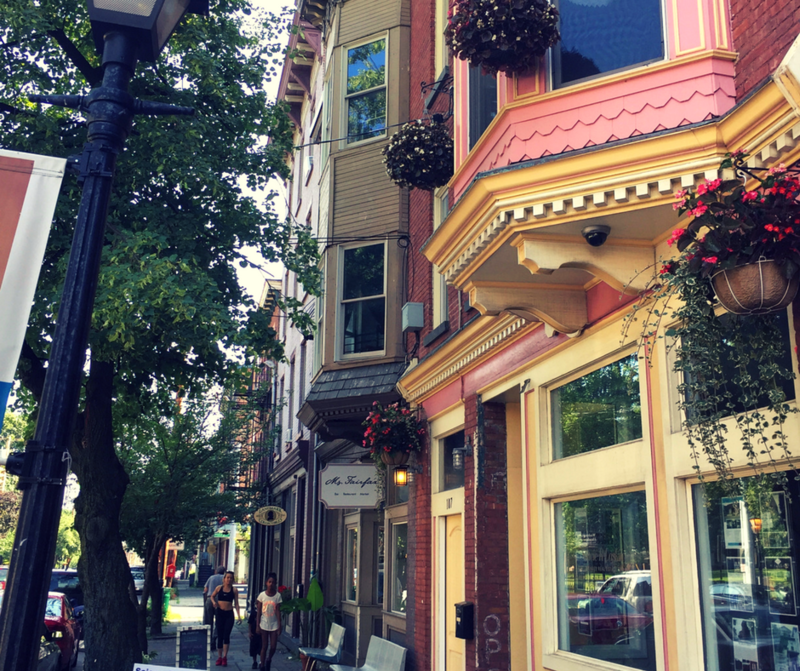 The Newburgh Brewing Company, craft coffee shops, high-end as well as bohemian restaurants, as well as countless bodegas are thriving mainly in or near the historic district within the city. But also, green shoots are appearing in other, formerly more “stressed” neighborhoods, such as Black Vanilla, an African-American owned coffee shop with a kitchen, their own roast, and big plans for the future. Pop up shops and art galleries schedule weekly events that move throughout the calendar year syncing with major events such as Newburgh Art Supply’s “Open Studios” art show. Open Studios is a cornerstone event featuring hundreds of artists and attracting, literally, thousands of visitors to this Hudson River town. 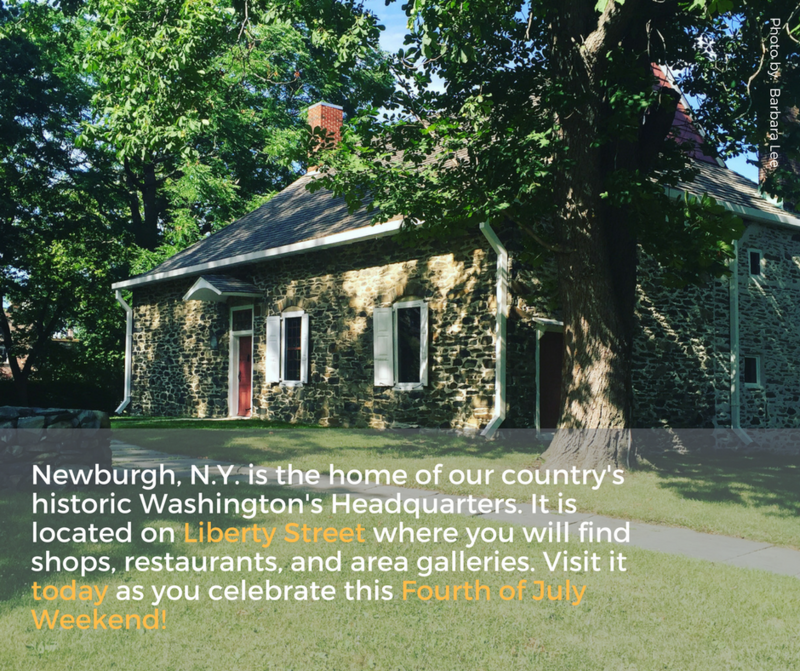 Other events such as Newburgh Illuminated, a June event, and The Light Bulb Project, celebrate Newburgh’s history as one of Thomas Edison’s first central generating stations, located on Montgomery Street. At Newburgh Illuminated, vendors and main stage performances enthrall visitors throughout the day and draws thousands who walk the streets within the historic district getting an up close view of this beautiful city. 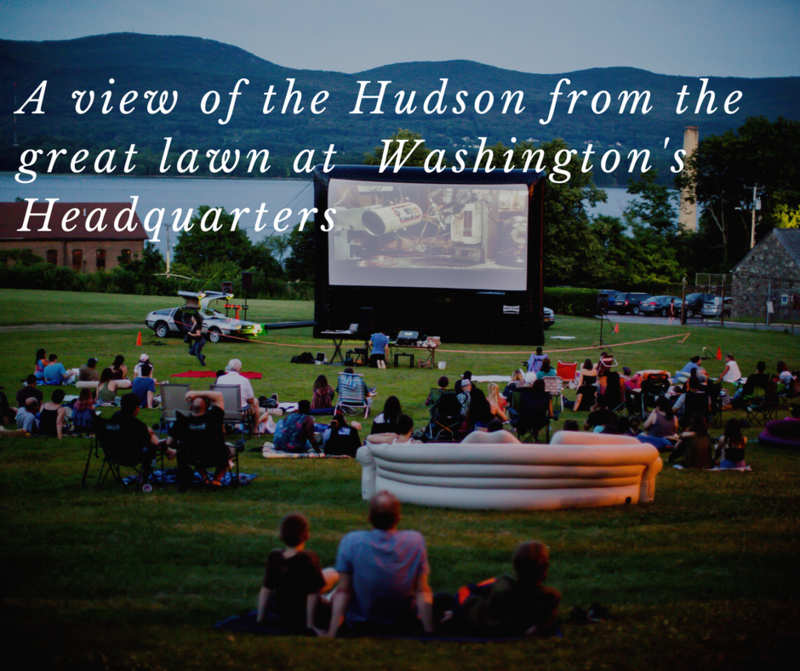 Funded by a grant from a 501c3, TSEC, Newburgh was selected to be the site of a small city awareness and attraction marketing campaign in the Hudson Valley. The Campaign Director, Peter Malone, working with the head of TSEC, Carl Meyer, brainstormed the campaign’s name: A River of Opportunities. The objective of the campaign was kept simple: market Newburgh’s affordable commercial real estate (and creative population) by raising awareness. H2 Studios worked with the campaign leadership to devise an economic development strategic plan that could be implemented in countless similar cities . It assessed the many incredible features Newburgh has, making her marketable as a MVP, and then focused on Objectives and Key Results or, OKR’s. OKR’s are a Google practice of establishing and monitoring objectives and their outcomes. Google stresses that team should work together to achieve stretch goals that move the business of whatever you are tying to do forward. After a Goals Workbook was compiled and worked through, The “A River of Opportunities Team, newburghny.org” intended to re-make a campaign website to support of its mission. These goals articulated what we wanted to accomplish in support of our objective. • Raise awareness and audiences interested in discovering the class of creative makers living in and coming to Newburgh, N.Y.
• Raise awareness and audiences about events featuring the creative class of residences in Newburgh, N.Y.
We knew that we were in unchartered territory. A previous web and marketing iteration did not dare anywhere near so greatly, but we also knew the timing was right, and we needed to push for outcomes that would be either black or white. We’d either hit it or know we hadn’t. There would be no grey areas. • We applied for and received a Google Adwords Grant. This Grant provided a $10,000 a month spend on PPC search ads. • We designed a website and an entire brand “identity,” with a distinct look and feel, consistent across all media, including print and also our Facebook Profiles and portraits, and this was extended to Google Plus, Twitter, Instagram and LinkedIn. 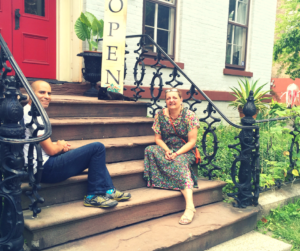 • We began an aggressive blogging campaign focusing on featuring the Urbanists either living in or beginning to flock to Newburgh and the properties they were interested in, as well as the businesses they owned. • We ran in-person events featuring experts in the field of Live/Work and Urban Planning as well as in person events promoting the cities updated zoning laws featuring the City Planning Department. • We started focusing on the Urbanist events of note such as the annual Open Studios Art event and an event known as Newburgh Illuminated. • We began an intensive SEO campaign targeting all our blog posts, all our pages, and each image around the keywords we had identified as relevant. We extended these keywords beyond the website to the Adwords campaign. • We began an aggressive Facebook promoted post campaign for posts. We implemented the Facebook tracking pixel on our website and began to use the custom audience feature for remarketing to web visitors. • We created videos of properties, events, and restaurants which we featured on our website and Facebook and Instagram pages. • We refined content creation accordingly. Certainly, food and human interest stories were highly engaging, especialy if we used video. • We began doing more property listing videos. • Our email sign-ups exploded in growth. • We tracked in our Acquisition Reports’ data on key words, landing page information, final URL’s data and of course top channels insights. • We tracked on page behavior in our Behavior Reports. • We tracked the various Goals and Event conversions we had set up in Conversion Reports. 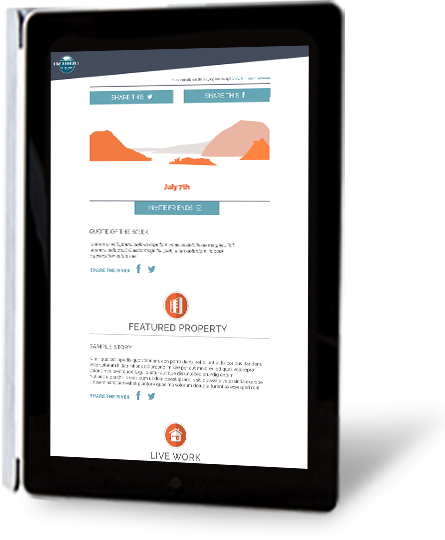 • As the campaign began to wind down with large numbers of properties either selling or listing, we realized that brokers were interested in transparency. 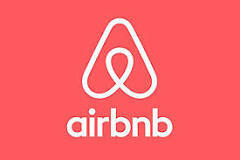 Rather than list someone from our team as point of contact, we provided visitors with information connecting them directly with the listing agent or owner. We lost some measure of control insofar as measuring who was being contacted as a result of our campaign, but gained more confidence in our efforts with the community. • As a result, we implemented call extensions and tracked and replied to inquiries coming in from calls about properties. • We changed some of our goals to events and tracked events like page scrolls. • We tracked email sign up thank you pages from the Hello bar and form sign-ups as separate goals. • Google Analytics is a measurement platform that provides insights into your audience’s behavior on your website. You can measure who your audience is made up of, what they do on your website, and even the queries they used to find you in order to continuously improve your website and the experience it delivers. • Google Search Console was formerly known as Google Webmaster Console. This indespensible tool offers appraisals and advice on how well your website is performing in Google Search. • Google Adwords via the Google Adwords Grant enabled us to receive a sizable budget which drove a huge increase in visits to the website, gaining us traffic, metrics and conversions. See if you qualify as a 501c3 for the Grant! • Facebook Ads allow you to engage audiences, remarket to audiences, and create lookalike audiences using incredibly granular targeting. • Canva for Work is a premium offering by Canva (the free graphic design content creation too) with upgraded features. Canva generously allows nonprofits to apply for the premium version via a nonprofits grant. If accepted, you get the upgrade. Canva has thousands of images, graphs, social media templates and more to create images for blog posts, Facebook, etc., It helped us create truly compelling content. • CoSchedule is a social media marketing and management platform that helps schedule a ton of posts out across various social channels, such as Twitter, Facebook, Instagram, LinkedIn, and more. This automation tool also includes a wonderful content calendar feature, permits team work, and offers analytic insights on how content performs. • WordPress.org is a self-hosted content management system (CMS), website solution and one of the fastest growing CMS’s available worldwide. Why? It’s simple to onboard with and the WYSIWYG editor makes it easy to create the well-structured content Google crawls and ranks you for. Hundreds of beautiful, topic-specific themes are available, and WordPress also scales easily. Because there are thousands of plugins to choose from, you can enhance WordPress’s functionality. With some carefully considered and constructed customizations, we used it to make a beautiful site: newburghny.org, the website for our campaign: A River of Opportunities. • Yoast SEO is one of our favorite plugins for WordPress. It makes the technical set up of a website’s page and post structure incredibly easy. Its intuitive dashboard guides you as you perform the kind of on-page SEO that will make your pages rank for your targeted keywords and at the top of the search engine results pages. • On page sign up forms were placed in key places as calls to action throughout the site. • Hello Bar pop up modal window did the heavy lifting capturing thousands of emails in 12 months time. • Mailchimp is an email marketing service that allows people to: send emails, newsletters, invitations, event notifications, among other things. and to also implement email marketing automation. We used it to help manage the emails collected from Gravity forms or Hello Bar and to create our email newsletter campaigns. • Custom Landing pages was our solution this time around. Next phase of campaign we are planning on introducting LeadPages for our Adwords Landing pages. • Google Keyword Planner is an amazing and free tool that you can use to research what keywords to bid on in your ad campaigns and also to use in your content marketing blog posts. • SEMRUSH is a powerful tool for keyword research and competitive research. SEMRUSH helps you research and understand your competition and the keywords you should try rank for. FINALLY? OUR GOALS AND OUTCOMES WERE S.M.A.R.T. So, there you have it. An idea, a plan, and the means to carry it out! Now, go out and growth hack the heck out of your own small city!